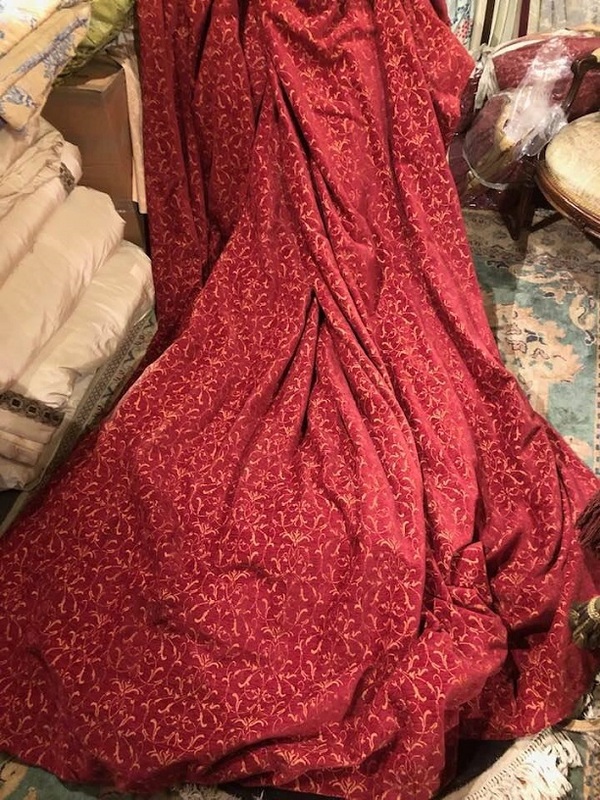 These fabulous vintage pre-loved curtains are in excellent clean condition with no discernible marks and\/or stains to the fabric of the curtains. There is fading to the leading edge and please see below for comments about this point. 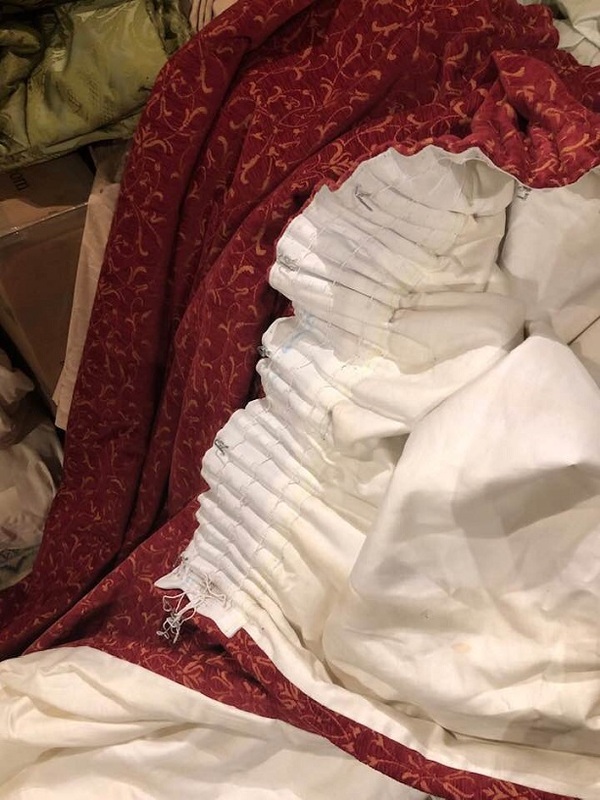 The linings are in good clean condition with no stains, marks or fading due to the sun and are in a really good condition helped by the fact that the room where both these pairs of curtains were hanging faced north. 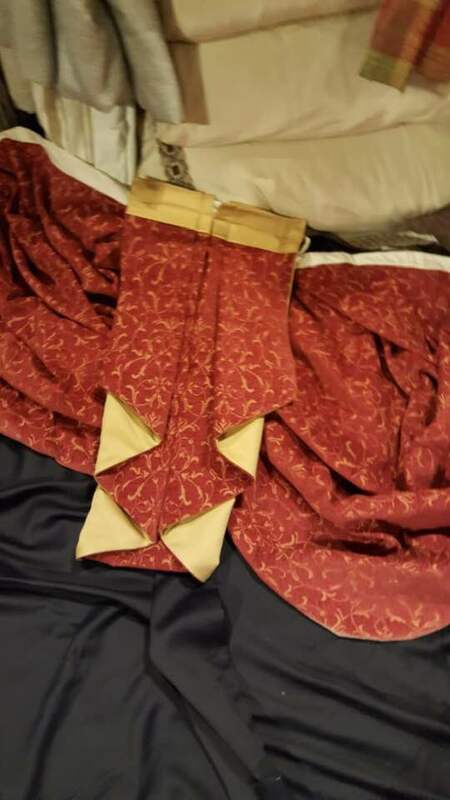 The postage cost for a pair of these curtains, including Insurance, is \u00a323.50p<\/span><\/b> and are sent by UPS with delivery within 24 hours. 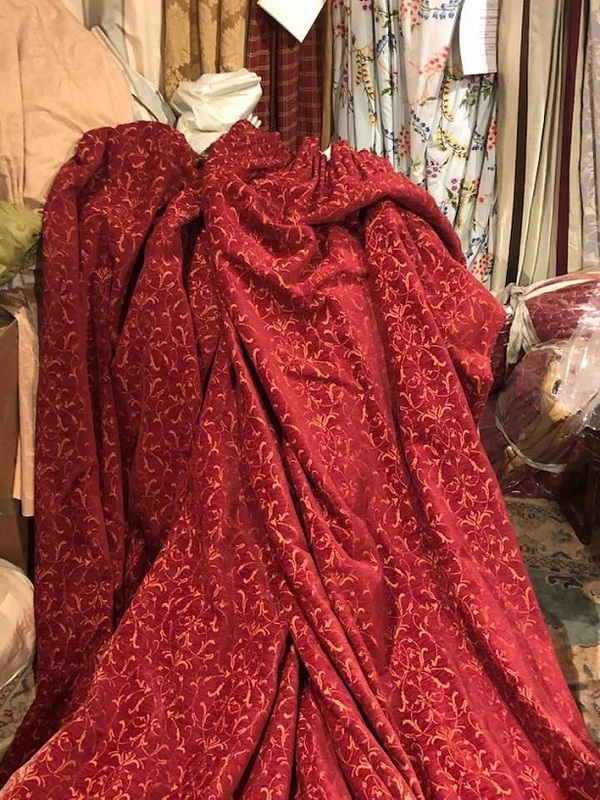 This listing is for a large and lustrous pair of red chenille curtains with interlining and pencil pleats and a complementary set of swags and tails in great vintage condition which we have taken from one of the main reception rooms of a beautiful late 16th Century moated country house deep in rural Essex. 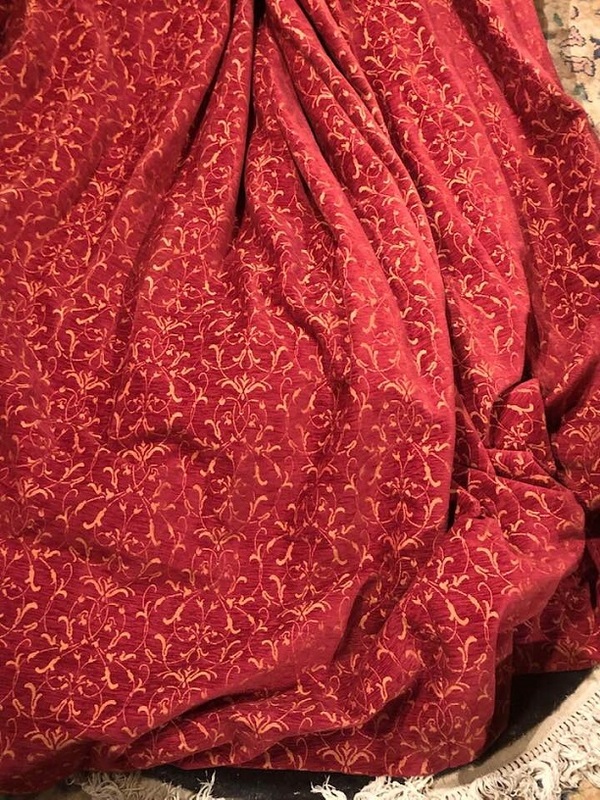 There are two pairs of these curtains available, both with the same width although the second pair is actually 4 ins/10 cms shorter. 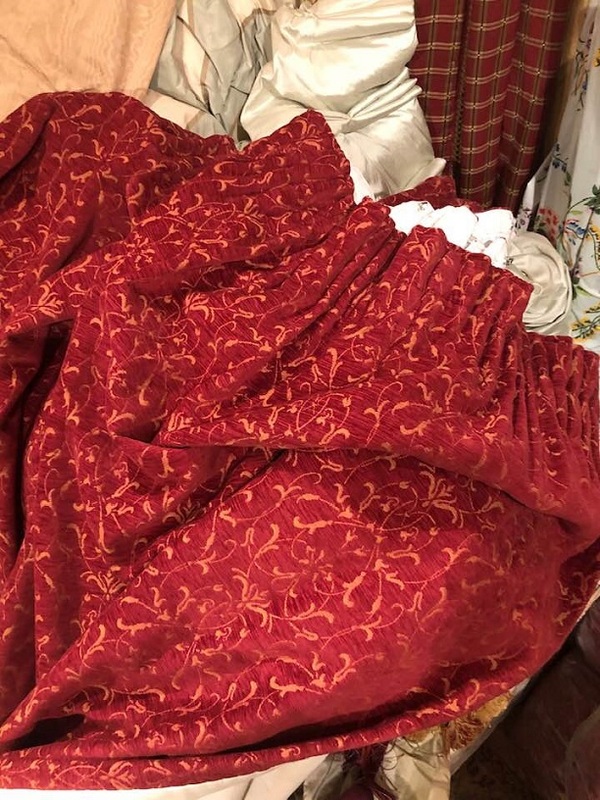 These fabulous vintage pre-loved curtains are in excellent clean condition with no discernible marks and/or stains to the fabric of the curtains. There is fading to the leading edge and please see below for comments about this point. The fading, which can clearly be seen from one of the pictures, only affects one curtain in each pair and can be measured at 5 ins/13 cms wide. 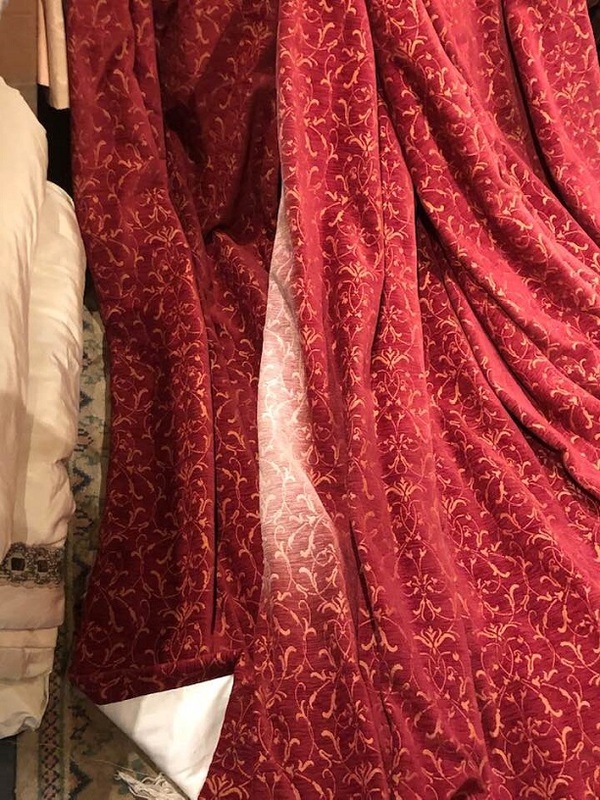 If this fading was removed and the other curtain altered as well the working width of each pair would then be approximately 97 ins / 246 cms. 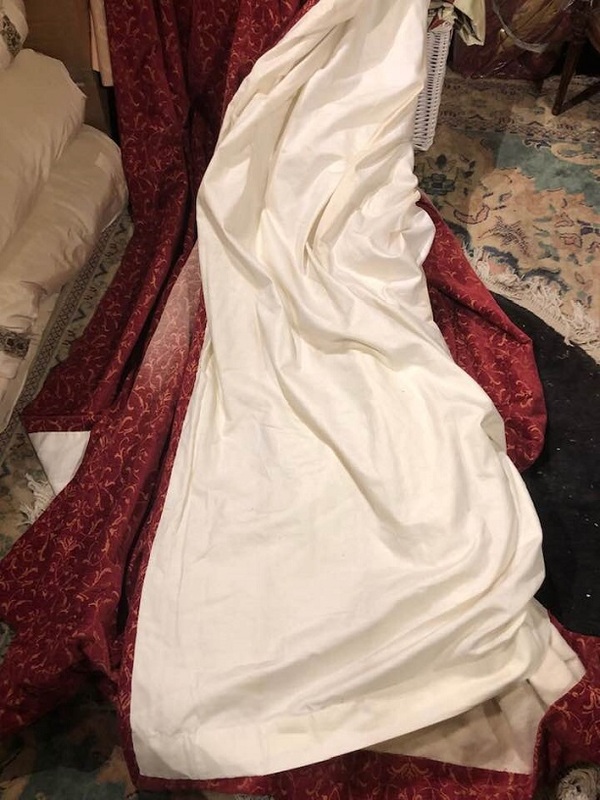 The postage cost for a pair of these curtains, including Insurance, is £23.50p and are sent by UPS with delivery within 24 hours.